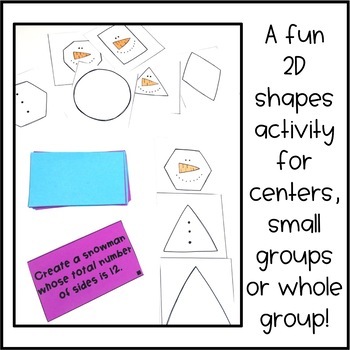 This 2D shapes center and small group activity is perfect for those Winter months. It's differentiated so you can review with students who struggle, and challenge those who have shown mastery. 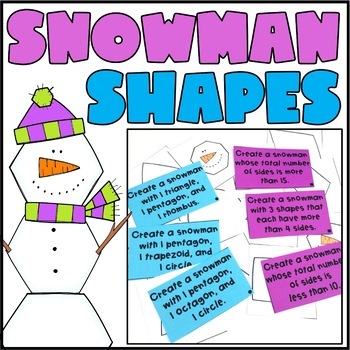 Use it in whole group, small group, or as a math center! 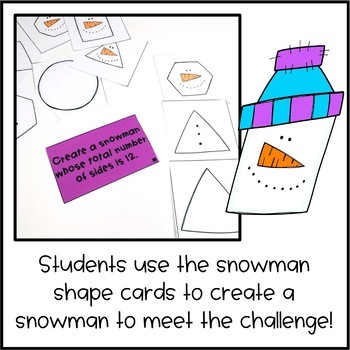 Students will select a challenge card, and use the snowman cards to create a snowman that meets the challenge. 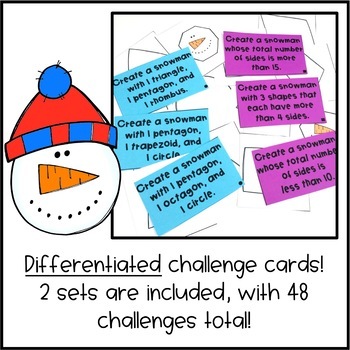 There are differentiated challenge cards - 24 simple challenges, and 24 enrichment challenges. These are perfect to differentiate for your small groups and different learners. Note: You can select and choose which shapes you'd like to include. If there are some you do not teach, you can easily just not print those shapes and the activity will still work! ⭐ Geometry Scavenger Hunt - Freebie!